Chad and Todd are standing in front of their workplace, drinking coffee. Chad: I got a job offer yesterday. Todd: You mean - you’re leaving us? Chad: Well, I’ve been working for this company for 6 years. I love you guys, but I think I need to move on. I’m just a little nervous. Todd: Tell me about the new position. Chad: It’s a management position. But the salary is a little lower than what I make now. On the other hand, the benefits are great and I have one month off every year. Todd: Sounds like a good deal. You should go for it! Chad: I think I will. Will you visit me in Alaska? 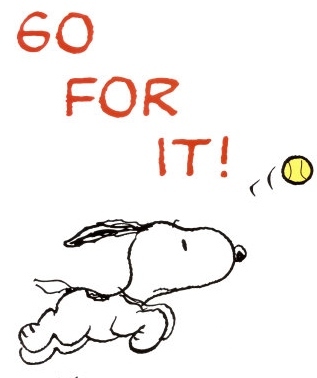 Meaning: To go for it – an expression which is used to encourage someone to do something.